ADDIS ABABA/RWAMANGANA – Marie Josee Mukankuranga stood before international health and development experts in her home in the Rwamagana District of Rwanda, talking about her community’s need for family planning. Ms. Mukankuranga, a community health worker, explained that villagers visit her to learn about modern contraception. “I am following up with 35 to 40 clients,” she told them. Programmes like these receive little attention, but they are critically important. Voluntary family planning empowers women to choose if and when to have children, and how many. It enables women to finish their educations and join the labour force, helping families rise out of poverty and securing better futures for their children. Family planning is not only a human right; it is also a development imperative. In Africa, which has large numbers of young people, family planning can play a central role in helping to harness a so-called “demographic dividend”. A demographic dividend is a massive economic boom that can take place when there is a decline in fertility rates, yielding fewer dependents relative to income-generators. Voluntary family planning programs, information and services are essential to this process. Investments are also needed to create a better access to education and decent employment, and to help ensure gender equality. 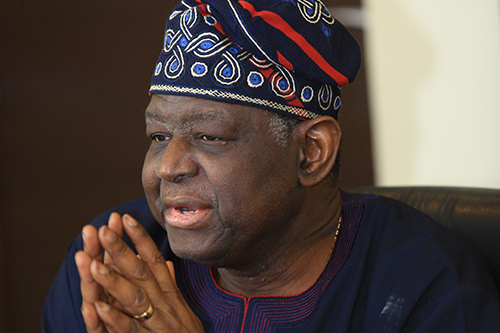 “If you don’t have a working family planning programme, it is unthinkable to reap the demographic dividend,” Dr. Babatunde Osotimehin, Executive Director of UNFPA, said at a high-level event organized at the margins of the 2017 Summit of the African Union in Addis Ababa, Ethiopia. 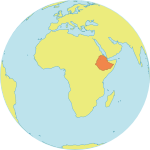 The event, which focused on the importance of ensuring access to voluntary family planning, was jointly organized by UNFPA, the United Kingdom’s Department for International Development (DFID) and the Federal Ministry of Health of Ethiopia. There has since been significant progress in providing access to voluntary family planning throughout Africa since 2012. That year, governments and partners committed to reaching 120 million more girls and women with modern contraceptives by 2020, a promise known as FP2020. But the continent still has the highest rate of adolescent pregnancy in the world, with some five million girls lacking access to modern contraceptives, according to a 2013 UNFPA report. Complications of pregnancy and childbirth also remain a key cause of death for girls aged 15-19 years in Africa. 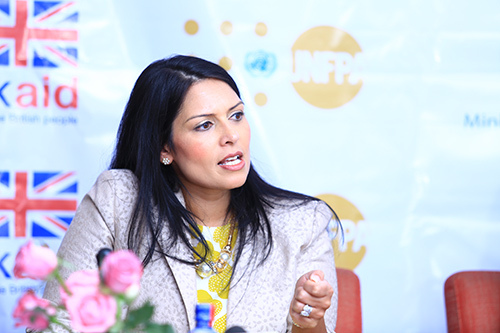 Priti Patel, Secretary of State for DFID, emphasized that an estimated 225 million women globally want to avoid or delay pregnancy but are not using modern contraceptives. These women, she said, must be reached with voluntary family planning. She also announced that a family planning summit will be convened this summer in London, a joint effort between the UK government, UNFPA, the Bill and Melinda Gates Foundation, and other key partners. Ambassador Olawale Maiyegun, Director of Social Affairs at the African Union Commission, underscored the need increase access to sexual and reproductive health services for young people, who too often face barriers to this kind of care. Ms. Mukankuranga knows this first-hand. 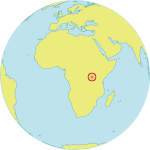 In her practice in Rwanda, she says stigma keeps adolescents from visiting her. Instead, they travel further afield to health centres outside the community. “Mostly young girls do not come here,” she explained. “They do not want that the neighbours know,” she said. Despite these challenges, the community has seen an uptick in family planning. Women are gratified to receive the services, she noted. And it is rewarding for Ms. Mukankuranga, too. “I like my job. When there are no complications, it really makes me happy,” she said.